http://bit.ly/TimelessInTeak xD; xA;This home is what results when an award-winning homebuilder/developer and a world-traveled fine art aficionado build a private residence for themselves in Hawaii. Under the guidance of architect, Jim Schmit, interior designer, Diane Cleave, and lighting designer, Rob Billingsley, this home was erected just off Kahala Ave. for reduced traffic volume, increased privacy, and yet immediate access to all that the neighborhood offers. About 500 steps out your front door is Kahala Beach. Neighboring that is the Waialae Country Club & Kahala Hotel. You’re also within a few minutes drive of Kahala Mall (technically, walkable), Whole Foods, the Diamond Head farmer’s market, and all of Waikiki. Please, send me more information on this property: MLS# 201830329 – $5,800,000 – 926 Kealaolu Avenue, Honolulu, HI 96816. 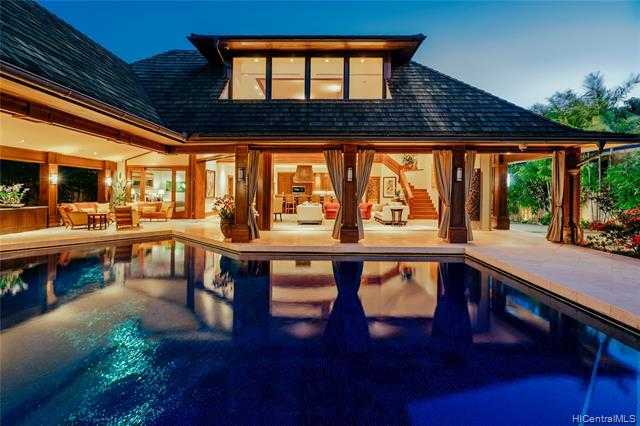 I would like to schedule a showing appointment for this property: MLS# 201830329 – $5,800,000 – 926 Kealaolu Avenue, Honolulu, HI 96816.